MainAll NewsUS & CanadaCaribbean islands to suffer two hits in a row? 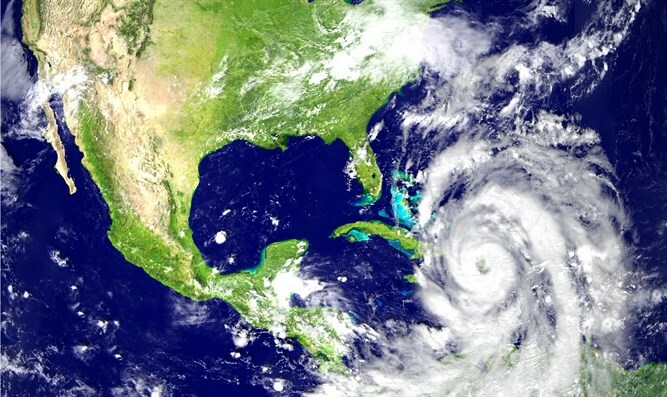 Caribbean islands to suffer two hits in a row? Irma closes in on Florida, with two more hurricanes close behind, as 8 reported dead in Caribbean. As the US works to recover from Hurricane Harvey and prepare for Hurricane Irma, two more hurricanes may be on their way. Tropical Storm Jose became a Category 1 on Wednesday night, heading westward at 17 miles per hour with winds gusting at 75 miles per hour. On Wednesday evening, Jose was still over a thousand miles away from the easternmost Caribbean islands. Jose is expected to turn northwest towards Bermuda before it slows. According to Weather Channel meteorologist Ari Sarsalari, Jose doesn't pose as much of a threat to the southeastern US as Irma does, but "the Leeward Islands would end up with another one-two punch ... This could be pretty bad for them." According to the US' National Oceanic and Atmospheric Administration (NOAA), "Additional strengthening is forecast, and Jose could be near major hurricane strength on Friday." Tropical Storm Katia also became a hurricane on Wednesday evening, moving at a speed of 5 miles per hour, moving southeast from its location 175 miles north of Veracruz, Mexico. Eastern Mexico may experience enhanced rainfall, localized flooding, and mudslides, experts say. Though Katia may move north, east, or south, it is not likely to change its overall location. However, it most likely will not reach areas devastated by Hurricane Harvey, since those areas are now protected by an area of dry sinking, air. According to AccuWeather Hurricane Expert Dan Kottlowski, "The system will likely end up moving inland over the northern coast of southeastern Mexico sometime late this week or this weekend." Hurricane Harvey made landfall on August 25 as a Category 4 hurricane, destroying nearly 800 Houston homes, and damaging over 119,000. At least 70 people died in Hurricane Harvey, and the number is expected to continue rising as cleanup continues. At least eight are reported dead so far in the Caribbean as a result of Irma. The Prime Minister of Barbuda told CNN that the island is "barely habitable," with 95% of properties damaged and "unprecedented" destruction.